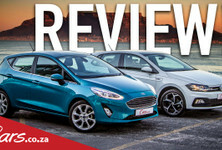 Ford Fiesta 1.0 T Titanium Auto: Priced from R274 900, the Fiesta offers 74 kW and 170 Nm from its turbocharged 1.0-litre engine. Note that the next-generation Fiesta is due locally late 2017 or early in 2018. 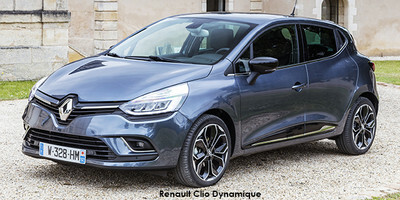 Renault Clio Expression Auto: Attractively priced from R264 900, the Clio offers 88 kW and 190 Nm of torque from its turbocharged 1.2-litre engine. A facelifted model is imminent. The Polo R-Line features sportier styling and comes fitted with a new turbocharged 1.0-litre, 3-cylinder engine. Volkswagen recently expanded its Polo offering by adding a new 1.0 TSI model in R-Line trim. The engine, a new 3-cylinder turbopetrol will also do service in the facelifted Golf which is due to arrive in South Africa in May 2017. Now nearing the end of its lifecycle, the extremely popular Polo will be replaced in early 2018 by an all-new model, due to be revealed later this year. In the meantime, Volkswagen is looking to increase its already impressive Polo sales numbers with the Polo R-Line, which features an attractive R-Line body kit to differentiate it from the more conventional derivatives in the range. With a starting price of R292 400, the Polo R-Line isn’t exactly cheap, but is its performance and good looks enough to warrant a purchase? Punchy and easy to drive, the Polo R-Line offers good performance despite its small capacity engine. 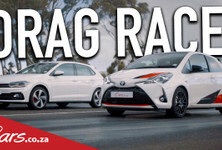 A full 81 kW and 200 Nm – it is hard to believe that a 1.0-litre 3-cylinder engine, albeit turbocharged, can deliver such a healthy punch. 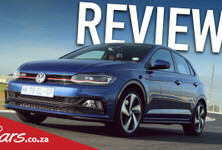 Its performance is by no means earth-shattering, but you will certainly be pleasantly surprised by how quickly and easily the Polo R-Line gets up to speed. Working in conjunction with a 7-speed DSG transmission, gear changes, even under hard acceleration, are almost seamless. There is some lag if you flatten the accelerator pedal at lower engine revs, but the full kick of torque takes you by surprise at around 2 000 rpm and from there on, it just keeps pushing, with a hint of turbo whoosh audible from the chrome exhaust tailpipe. This engine compares favourably with rival products in terms of performance while raising the bar in terms of refinement. The Polo R-Line performs particularly well in the city, where it nippily negotiates traffic, and it has no problem keeping up on the highway either. Despite the initial lag, overtaking is completed swiftly and the Polo R-Line has enough shove to put many larger-engined cars to shame. Overall, we found it to be punchy and fun to drive. In terms of fuel consumption, Volkswagen’s official figure of 4.4 L/100 km is rather ambitious as we recorded figures in the region of 8.3 L/100km during our test period. The Polo R-Line's positive steering feel and nimble handling ability makes it a pleasure to drive on a daily basis. An admirable ride quality is one of the reasons the Polo has experienced such great success locally. This Polo R-Line is no different. Even though the suspension is on the firm side, buyers will find the ride pleasingly smooth, even on poorer road surfaces. 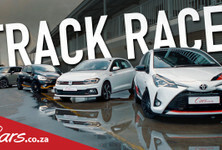 Also worth mentioning is that the Polo R-Line is quite capable in terms of its handling ability, adding a dose of fun factor to the driving experience. Its compact dimensions and positive steering feel give the driver confidence and it remains composed and direct when cornering at speed. The Polo R-Line corners with refreshing agility and nimbleness. Solid handling and comfortable ride quality makes the Polo R-Line a pleasure to drive on a daily basis. Buyers will appreciate the quality feel of the interior, which is arguably the best in its segment. The Polo’s interior is well built, with a premium feel that its rivals can’t quite match in this segment. It’s easy to appreciate the cabin’s classically elegant layout and general sense of quality. Standard features include a 5-inch touchscreen infotainment system, connectivity package with Bluetooth and USB functionality as well as an iPhone or iPod interface. Fatigue detection is also included and the front sports seats are upholstered in cloth. The steering wheel has mounted controls and front fog lamps are standard. This test unit came fitted with a number of optional extras including a larger 5.8-inch touchscreen media system (R2 950), cruise control (R1 800), App connect (R1 500), LED headlights (R12 100), rear park assist with a reversing camera (R3 200), front and rear park distance control (R3 150), Light and Vision Package (R3 800) and a panoramic sunroof (R10 000). That brings us to the issue of price. With all the optional extras fitted, as tested here, the Polo R-Line’s price swells to R327 700. That’s an expensive pill to swallow. The reality, however, is that while Volkswagen products are generally more expensive comparatively speaking, brand appeal has kept sales figures healthy. Considering the relatively small size of the Polo with its average luggage space (280 litres) and slightly cramped rear quarters, even the base price of R292 400 is a lot of money. This may cause potential buyers to consider more affordable options or even consider something more practical, like a compact crossover, for example. 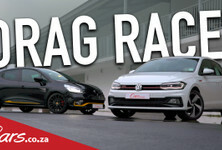 The price of the Polo R-Line is hefty, but it's likely to sell well regardless with quality and brand appeal adding to its allure. Yes, the Polo R-Line is expensive, but it will appeal to those looking for a Polo with beefier looks and a punchy powertrain to boot. The Polo R-Line’s performance surprised us and coupled with its excellent ride and handling ability is difficult to fault. Interior quality is arguably best-in-class which does help to justify the car’s higher price tag. If you are looking for style and shove from your hatchback, then the Polo R-Line may be up your alley. Just go easy on the options. Want to buy a Volkswagen Polo?